- New updated icon for the app. = low rarity drops will show "Rare" on it. 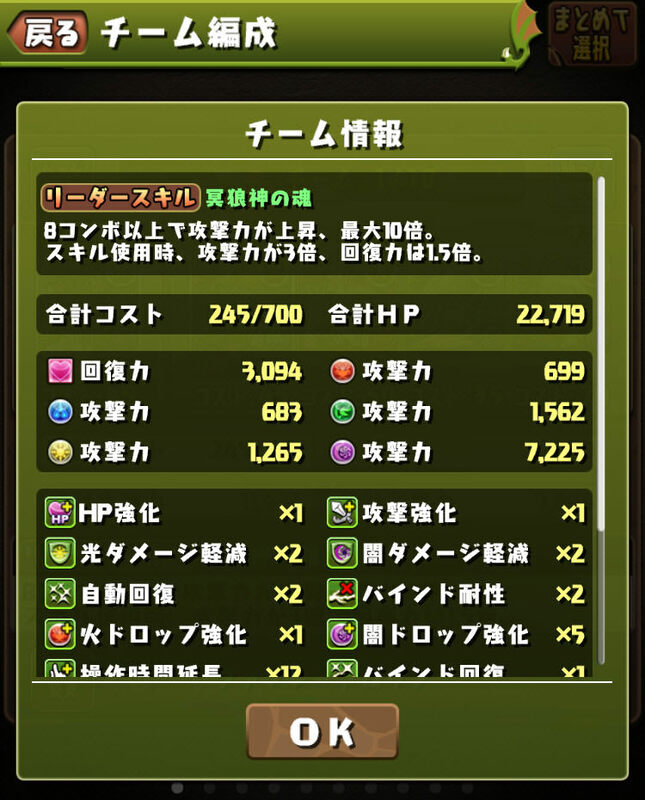 = Since the list contains the drops, it may not contain things that are in the dungeon. *Note: Latent Awakenings are not shown. - At the bottom of the Team menu is a new option which allows you to change the Orb's design. *Note: info about the Valk Zeus and Athena orbs can be found in the other news post. *Note2: Currently Colorblind mode isn't supported for these new orbs. *Note: During Multiplayer, the host gets priority of what orb types will be used. - You will now be able to choose a Helper from your own units. 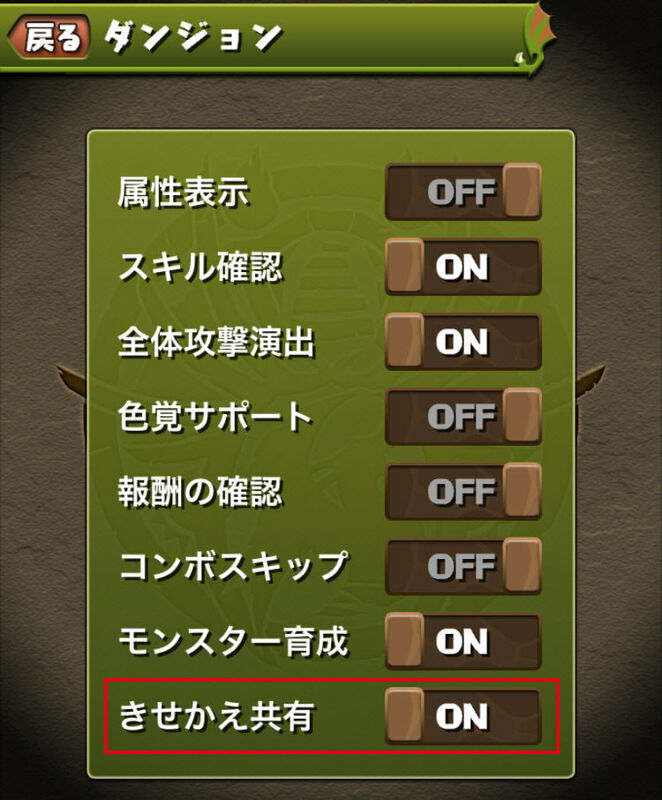 The blue button on the top right allows you to enter a dungeon with your own unit as a lead, so you don't need to rely on friends. 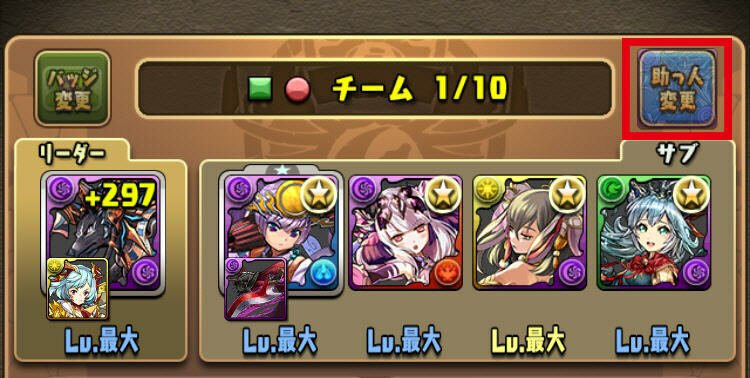 - Unit has to be a separate unit not currently on your team, as well as not currently being used as an assist. 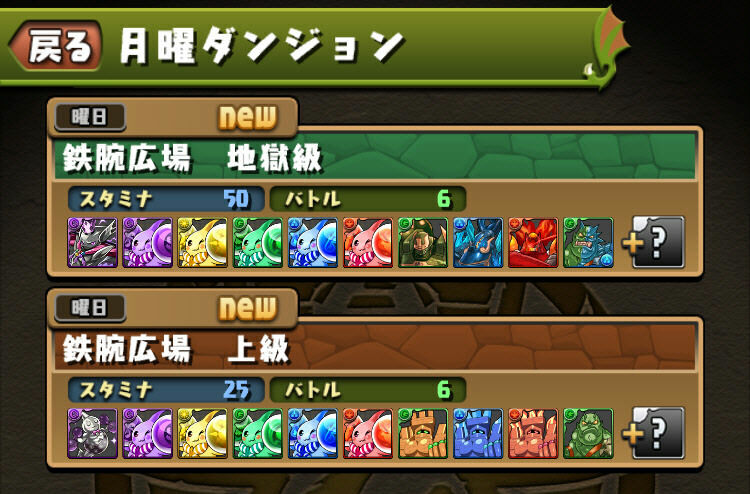 - Monsters that can stack (Evo mats) can not be used as Helpers. 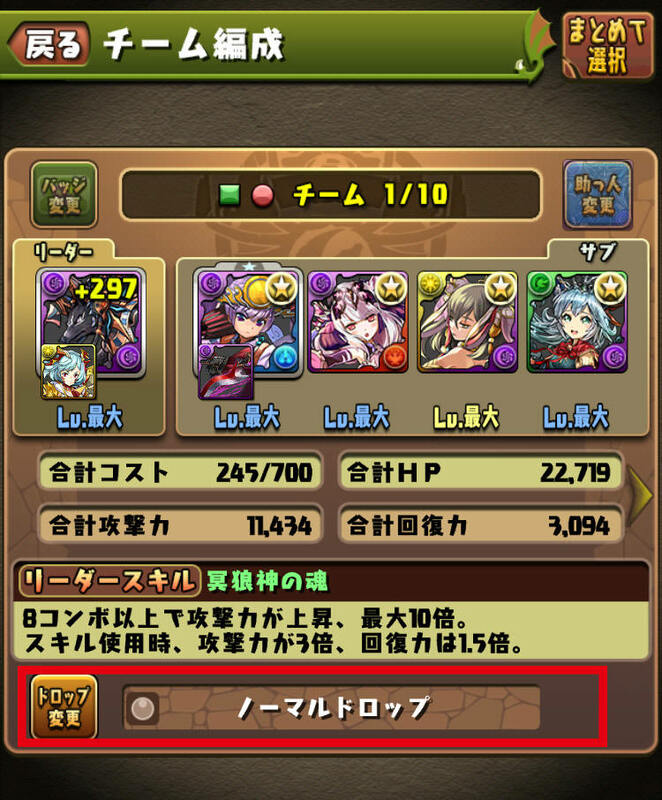 - You can choose a different Helper for each team you have. - When you enter dungeons, you will see yourself as Helper. 99 stamina, 10 floors, Annihilation difficulty. 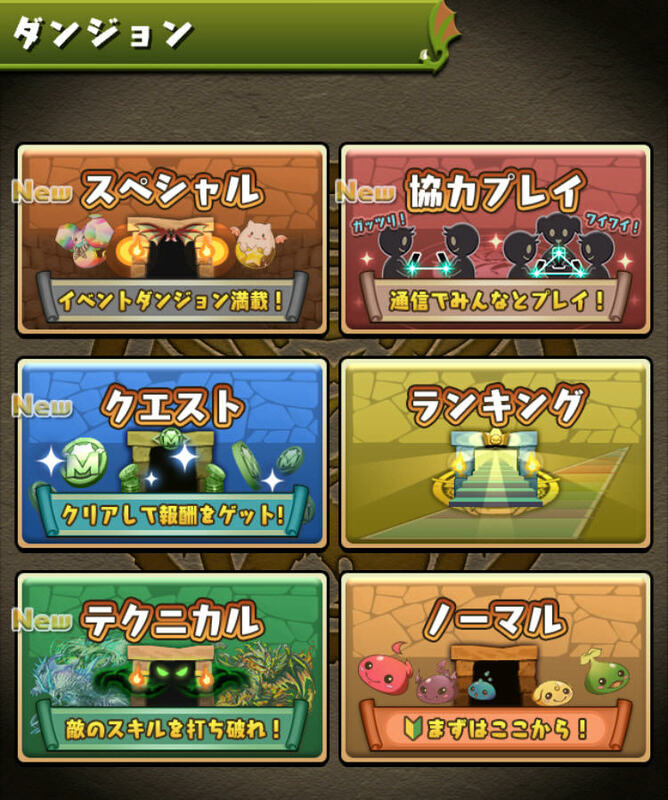 New normal dungeon, unlocked after clearing Legendary Earth. 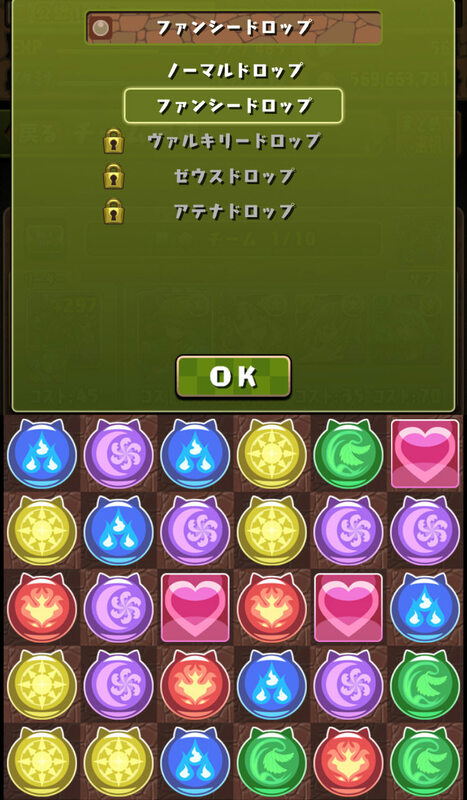 99 stamina, 15 floors, with many drops (as shown below). 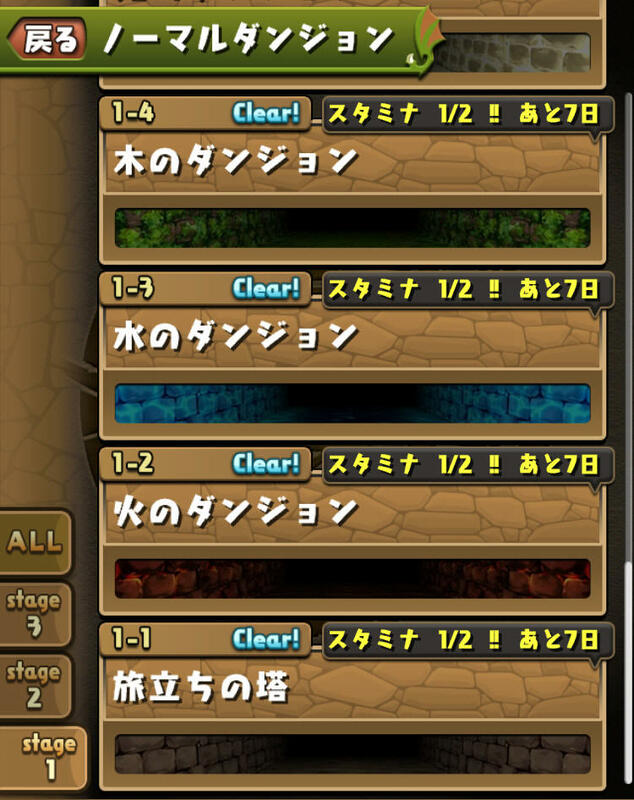 These are really huge changes...Looks like the normal/technical dungeons can be cleared again for stones...?